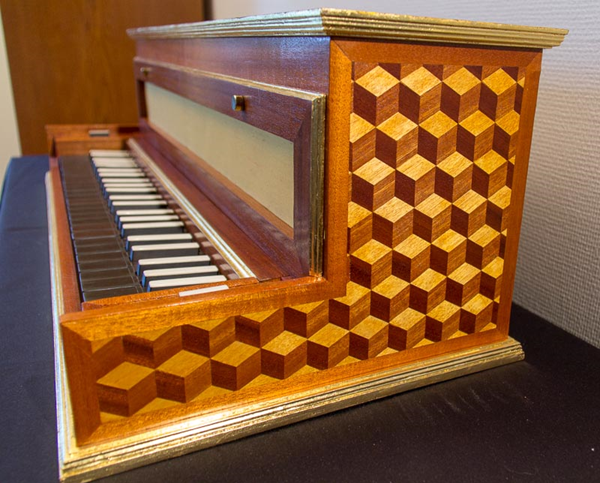 My latest instrument is a copy of a 4′-virginal of an instrument from the Musikinstrumenten-Museum in Berlin. 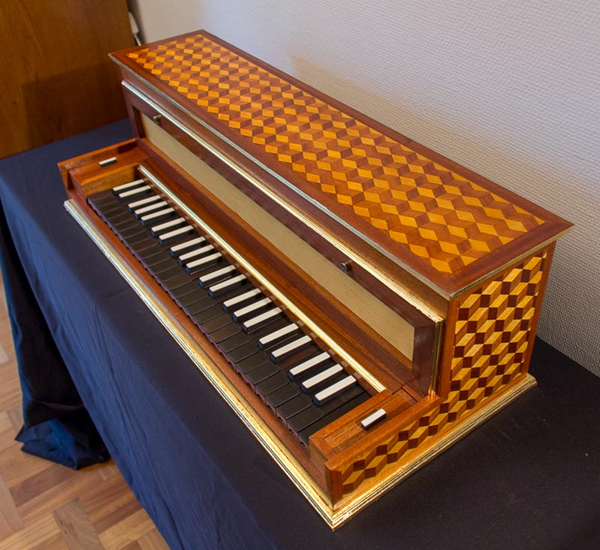 The instrument builder wanted to make the instrument as small as possible and made a box where the soundboard is divided into three sections. 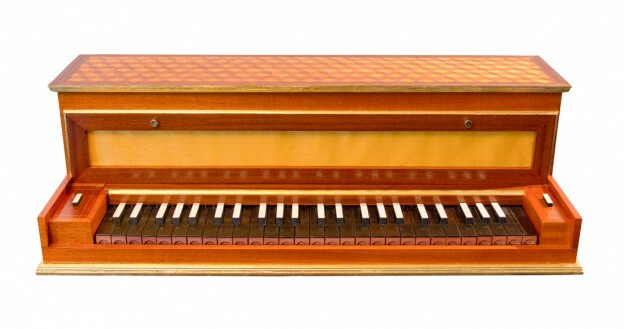 The middle- and treble register were made as for a normal virginal or harpsichord. 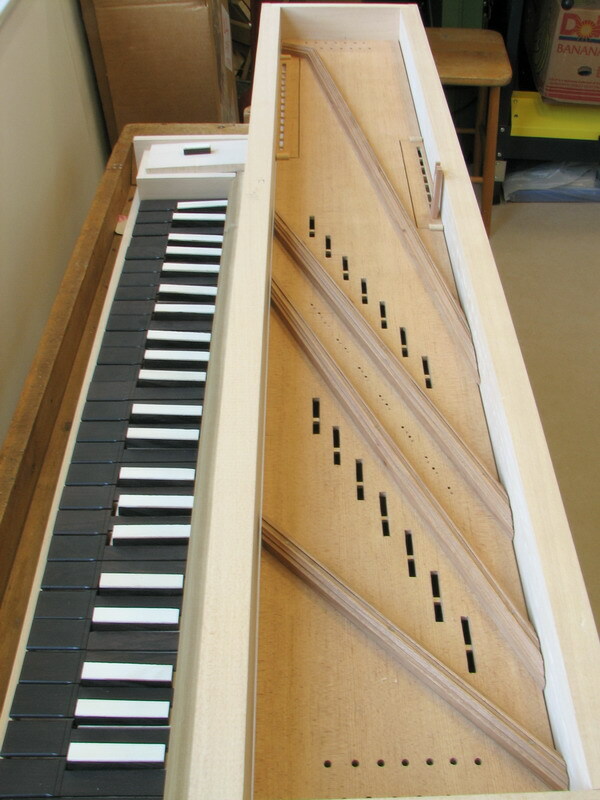 The bass register is using a vertical soundboard, facing the player, and the tenor register uses a vertical soundboard at the rear. 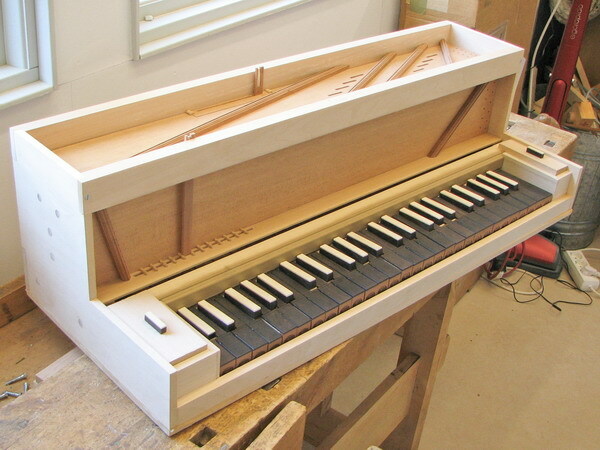 The case has been assembled and the soundboards with their broken bridges are in place. Bridge pins and strings are still missing. Finally the work with the veneer puzzle is in progress. The pattern will cover lid and sides.